That's true Ken but it does seem to fit. 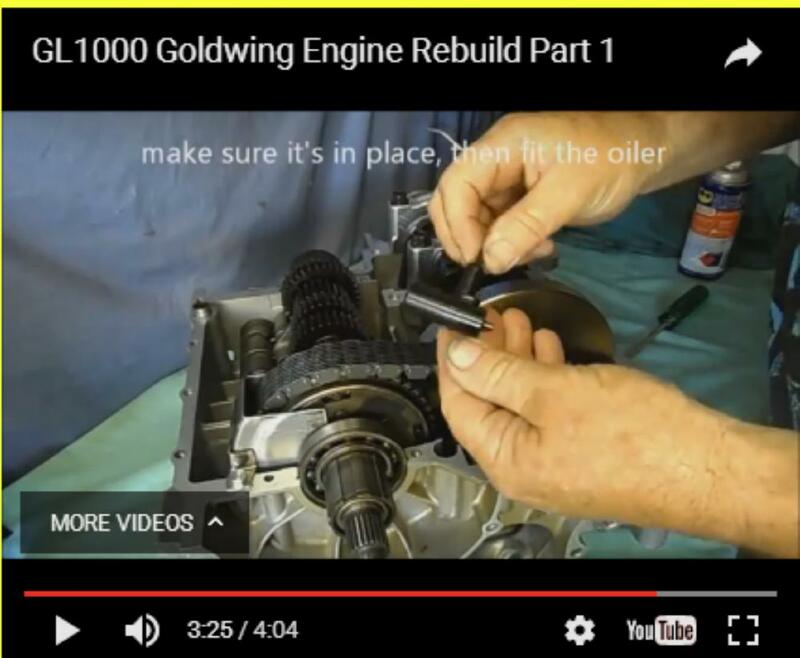 Have a look at this YouTube video of a GL1000 engine rebuild and you will see one going in at about the 3 min 20 second point. Yup. John is definitely right. It is item #9 below. I was really hoping to be a crack pipe or a dear whistle. But inside the engine!!?? Not again. And I am not taking that engine apart for the third time. I hope I can live without it. I swear I watched that video 100 times, and did not see that things going in. Just curious John, what did you exactly search for? That's amazing, and I really don't remember removing that part from inside the engine. But again, I took it apart and left it for almost a year then assembled it. In partzilla catalog it is shown like below. I was just lucky I guess. I thought at first sight of your pictures that it looked like a final chain drive oil feed from something like a Scottoiler but, of course, the GL is shaft drive so that led me to search under "Honda GL1000 INTERNAL drive chain oil feed" and the eBay picture of your part appeared in the images. I can fully sympathise with your frustration but it should help you to know that these things happen to all of us in one way or another. One I remember years ago was dropping a small screw down an oil way of an engine I was just finishing which meant taking it all out and apart again to be sure it had fallen to the sump and could be retrieved. Hours and hours wasted! Last edited by DaveO430; 04-02-2017 at 11:17 AM. Changed the main bearings, piston rings, upgraded the chain tensioner from late models, changed the main chain. Add coolant, add gear oil for the final drive, and try to fire it. The only issue I encountered was the neutral light stays on all the time. It's a pin in a$$ to get to it and try to play with the wire. Now John kinda shot me with a teaser I thought at first. But he wasn't kidding. It is what it is. So now, I am going back to the engine, and put that thing back on. Anyone knows a good (or oem) Honda Head Gaskets? I think I will need a couple!! Now the question, is leaving it out an alternative? The Honda engineers put it in there for some reason which means they went thru the headache to design it and tool up for mass production. So what problem were they trying to solve? I've never been inside a GL1000 engine so don't know where the primary chain lives. In my smaller Honda engines, the primary chain visits the sump, so Gerri g well oils isn't a problem. Is the same true for a GL boxer engine?? I don't know, just asking. There is also the possibility that the fitting is there to regulate oil pressure. That the oil gallery without the fitting will oil the chain, but oil pressure will fall starving oil to some other part of the engine. If you don't get a decent answer here, maybe reach out to Randakk's for an answer. Link's not working this morning. Guess I'll never know what it is. Good point. You can take a look at the video John posted, and you will see the primary chain. In that video, the guy put an orifice first then that mystery part (Not anymore!!). So when I disassembled all that I didn't pull that orifice. Now the question is, does that mystery part holds down the orifice? If yes, then surely it will shoot out with oil pressure. I knew I had seen that part somewhere but just couldn't quite picture it, it's been a few months since I've been into a wing engine. The primary chain does not reach the sump but there is a lot of splash oiling going on in there. 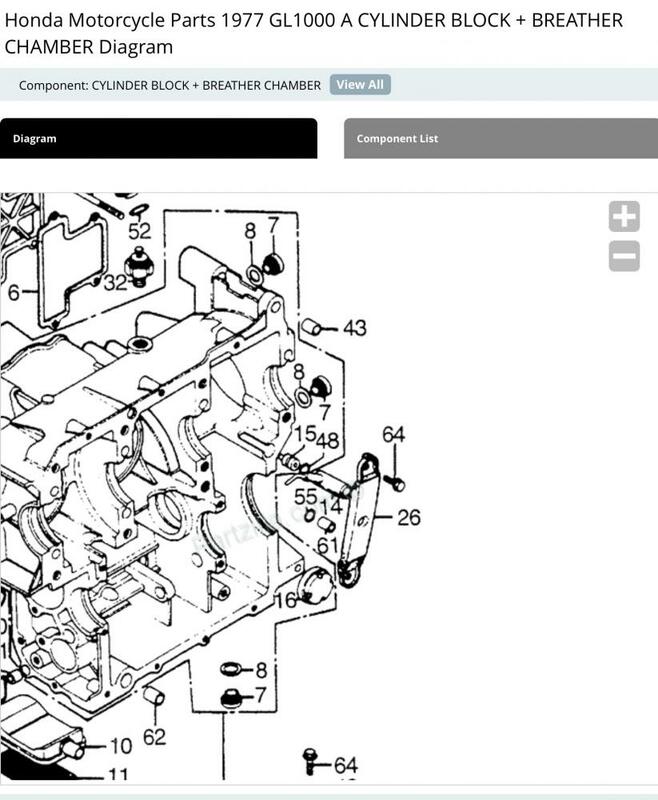 It has nothing to do with the engine oil pressure, the scavenger pump in the clutch housing pumps the oil it picks up through that device onto the chain. Don't know if it's because it actually needs it or if they just wanted something to do with the scavenged oil.